In 1975, an infant, named Benjamin Stacy, was born in a clinic in the town of Hazard, Kentucky. On bringing him into the world, the doctors were shocked as the boy’s skin was bluish in color, almost purple. They immediately surmised that something must be terribly wrong with the newborn and rushed him to a bigger hospital at the University of Kentucky. They conducted a battery of tests on the infant to determine what was wrong with him but could not pinpoint anything. The boy’s grandmother was eventually the one who put them out of their misery by telling them about the Blue Fugates family of Kentucky, of which the boy was one of. 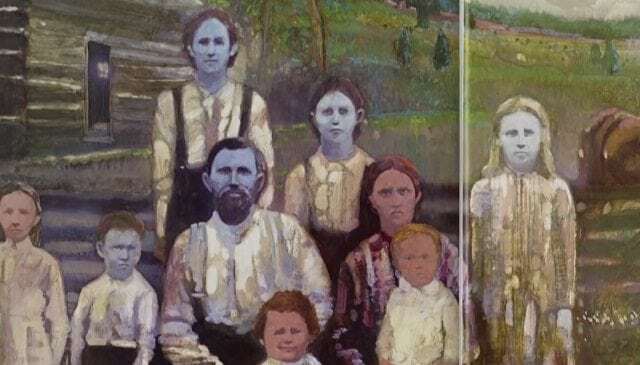 The Blue Fugates of Kentucky was a real-life family who had blue colored skin. Want to know more about the Blue Fugates and what caused their blue skin color, then read on. The progenitor of the Fugates family was a Frenchman by the name, Martin Fugate, who had traveled to America in 1820 in search of a better life. Fugate, an orphan, settled down on a piece of land that had been left for him near Troublesome Creek in Hazard, Kentucky. As time went on, he got married to a lady named Elizabeth Smith. The union produced seven children and four had blue colored skin. Some believe that Martin himself had blue colored skin but there is no evidence to support that. His wife, on the other hand, did not have blue skin. What Caused the Blue Skin of the Fugates Children? Even though they did not know it at the time, the Fugates children had an uncommon blood disorder known as Methemoglobinemia (MetHb). It is a condition in which the blood contains an excessive amount of Methemoglobin. Hemoglobin is the vehicle in the blood that transports it to the various parts of the body. On the other hand, methemoglobin is an ineffectual type of hemoglobin that cannot transport or distribute oxygen. As such, if someone has a high level of methemoglobin in the blood, the person’s organs would be starved of necessary oxygen and may seize or fail. 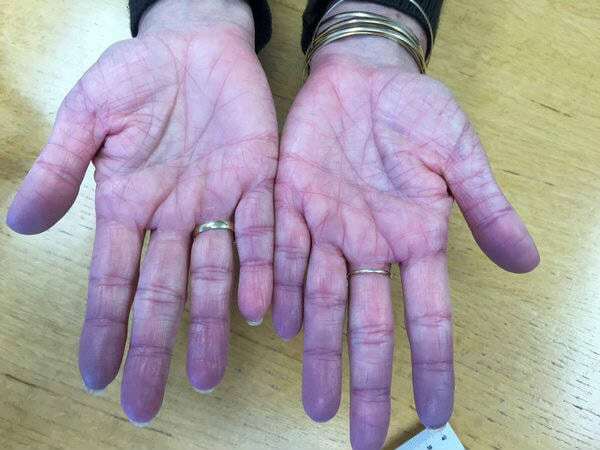 An outward symptom of MetHb is that the person would turn blue in color especially in the hand, legs, and mouth. All human beings have small amounts of methemoglobin in their body, it is only when it becomes too much that it becomes life-threatening. People who have between 10% and 20% of methemoglobin do not suffer any serious health consequences except for the fact that their skin would have a bluish color. On the other hand, methemoglobin levels exceeding 20% can cause organ failure and seizures and even death. MetHb can be inherited genetically from one’s parents or can be acquired through the ingestion of substances such as nitrites. The Fugates children inherited MetHb genetically from their parents. Martin carried the recessive gene that causes MetHb and as fate would have it, his wife, Elizabeth also had the same gene. As such, the two recessive genes joined together in their kids thus becoming dominant. As the Fugate children grew up and married, there was a steady increase in the number of the people with the blue skin. This was caused by intermarrying amongst the people who carried the gene. The Fugates lived in a rural part of Kentucky with no accessible roads or rail tracks. As such, their children were constrained to marry their own relatives, as well as from other nearby families such as the Smiths and the Stacys who also had the same recessive gene. For instance, one of Martin Fugates’ sons, Zachariah, married his mother’s sister, a Smith. They had children, amongst who was Levy, a son, who married a Ritchie girl. Levy and the Ritchie girl had some children including a girl named Luna. Luna was the great-grandmother of the baby boy, Benjamin, in our introduction. It must be pointed out that the Blue Fugates, as well as their descendants, had a level of methemoglobin that must have been between 10% and 20%. This is because their condition only made their skin blue but gave them no serious health challenges, most of them lived into their 80s and 90s. It was a military doctor and hematologist by the name Madison Cawein, who figured out what was ‘wrong’ with the blue people and treated them. Dr. Cawein was working at the University of Kentucky in 1961 when he heard talk of a group of people in Kentucky who had blue skin color. Being a hematologist, his interest was piqued and he spent time searching for them but could not find them. With the assistance of a nurse in Hazard named Ruth Pendergrass, the good doctor was able to get in touch with the blue people and persuaded them to agree to be tested. After his research, Dr. Cawein found out that the Blue Fugates lacked the enzyme diaphorase which converts methemoglobin to hemoglobin. Dr. Cawein used Methylene blue to treat them. Methylene blue can assist the body convert methemoglobin to hemoglobin. On ingesting the drug, their skin color returned to normal within minutes. The blue people were overjoyed. However, the dye passed out during urination and as such, he left them with extra packets of it. Dr. Cawein published his findings in the Archives of Internal Medicine in 1964. Where are the Blue Fugates Now? Do They Still Exist? Benjamin, from our introduction, is one of the last descendants of Martin Fugates. Even though he was very blue at birth, a few weeks later, he lost the bluish color and his skin became normal. However, his lips and hands still turn blue when he is angry or cold. As at 2012, Benjamin was married to a lady by the name Katherine and they had four children. Benjamin studied wildlife at the Eastern University, Kentucky and works in Alaska. With regard to the other blue people of Kentucky; following the opening up of rail tracks and motorable roads, they began to move away to other communities and inter-marry with people without the gene. As time went on, fewer and fewer people with the condition were born and the blue skin condition disappeared altogether.